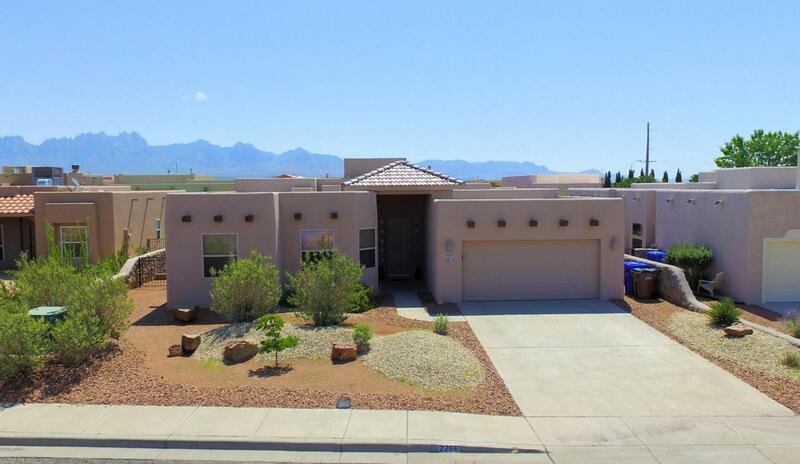 Southwestern-style 4 BEDROOM home in Sedona Hills Subdivision. Quality crafted in 2004 by prominent local builder. Approximately 1871 sq ft. 8'entry door leads to tiled foyer. OPEN GREAT ROOM is light and bright with tile flooring--offers coffered ceiling, fan and fireplace with tiled hearth. KITCHEN has a raised, wraparound breakfast bar, wood cabinets with stylish crown molding, tiled backsplash, upgraded sink/faucet, gas range, microwave, refrigerator & skylight. All BEDROOMS with ceiling fans and blinds. Luxurious MASTER BATH features custom tiled shower with bench, jet tub, double sinks, glass block and large walk in closet. UTILITY ROOM with cabinets and utility sink. 2 CAR GARAGE with SMART wiring, shelving & door opener. Easy-care landscaping front & back--east-facing covered patio--raised garden beds. Great Sonoma Ranch location...close to golf courses, shopping, medical services, parks, schools and HWY 70.